The Shock of Victory exhibition at Glasgow's CCA brings together artists from Scotland, Northern Ireland, Greece and Palestine to explore artistic responses to the post-referendum climate and broader political realities. Chris Sharratt finds out more from three of those involved. While the result of last year’s Scottish independence referendum was, on the surface, a victory for the status quo, things have not stayed the same. The debate around Scotland’s future continues – and plenty of people, such as the Scottish poet Alec Finlay, are still wearing their blue and white ‘Yes’ badges. Finlay is one of five artists in The Shock of Victory exhibition at the CCA in Glasgow, a city that saw over 53% voting for independence. The show opened on 18 September, exactly a year on from the referendum polling day. It takes its title from an essay by the anarchist scholar David Graeber, in which he suggests that political activists fail to recognise their own successes. Finlay’s contribution to the show, A Better Tale to Tell: submissions to The Smith Commission (2015), is a 62-page poem, presented both on the walls of the gallery and as an A5 pamphlet. The poet, though, hasn’t written a word of it. 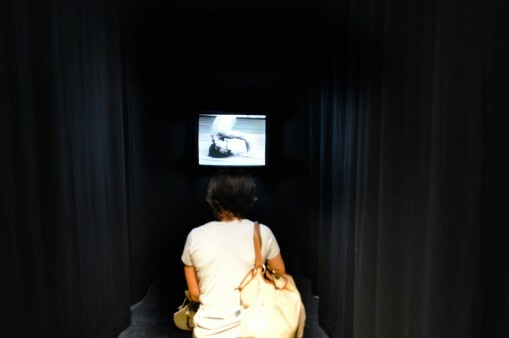 Voices, words, language – this is a show teeming with dialogue and communication, from the written and spoken word to the international language of politicians’ hand gestures, featured in Clips (2015) by Greek artist Antonis Pittas. Presented as flippable sheets on ‘clipboards’ made from sandstone (a material used in many Glasgow buildings), the work is shown alongside Landart (2012), a 9.8m marble replica of one of the steps in front of the parliament building in Athens. 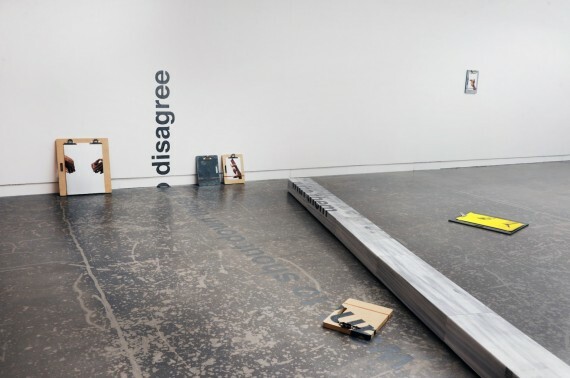 Written on the gallery floor, wall and step – which dissects the main gallery space at CCA – are the words: “Some people in this room simply want to shout down those who disagree with them.” It’s a comment made during the referendum campaign, but whether the person was a ‘Yes’ or ‘No’ isn’t stated. Despite its inherently divisive nature, post-referendum Scotland has remained relatively free from turbulence – unless you count the collapse of Scottish Labour in the May general election. But for London-based Northern Irish artist Mairéad McClean, there was always the possibility that strong feelings might turn into violence. McClean’s video, No More (2014) – which last year won the inaugural MAC International Art Prize – is both deeply personal and stridently political. In the piece, black and white footage of a dancer from Jerzy Grotowski’s 1972 Polish Laboratory Theatre is combined with Northern Ireland prime minister Brian Falconer’s announcement of the introduction of internment in August 1971. McClean’s father, a civil rights activist, spent nine months in Long Kesh internment camp. The other artists in this inquisitive and engaging show are In the Shadow of the Hand (Glasgow-based duo Virginia Hutchison and Sarah Forrest) and Palestinian Oraib Toukan. Reflecting the importance the works give to dialogue and discussion outside mainstream politics, The Shock of Victory programme also includes a symposium, workshops and events, and a week-long kids parliament. Scottish independence and artists: “It’s not about nationalism at all” – In the lead up to 2014’s Scottish independence referendum, Chris Sharratt talks to artists about its significance and finds out why many are in the ‘Yes’ camp.